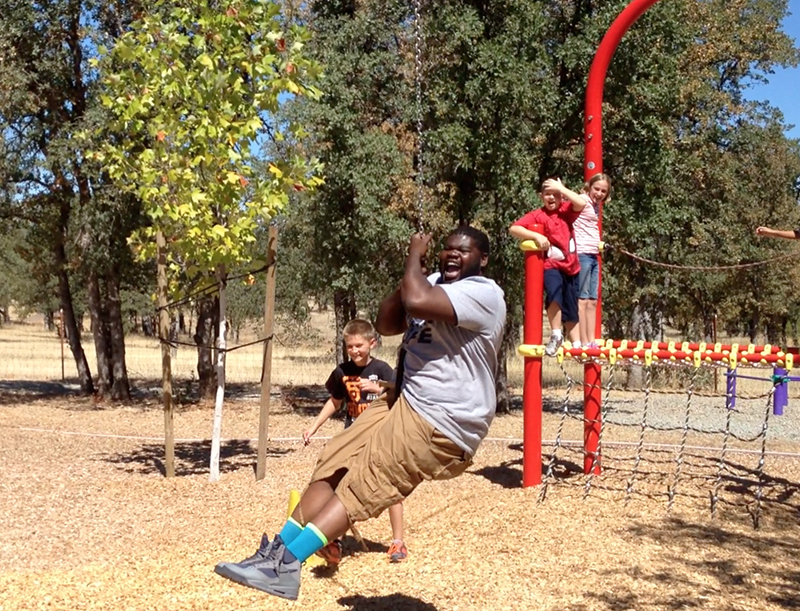 Pogo Park took 15 Richmond residents to Redding School of the Arts, a charter school known for its innovative children’s play and art programs. During our visit, adults and children alike lost themselves in the school’s cutting-edge play equipment, gaining inspiration and ideas that we look to bring back to the city parks of Richmond. The playground’s main attraction was the 70-foot Berliner Speedway Zip Line, the only zip line of its kind in California. The zip line was a major hit with our group, and we are moving ahead with plans to install one at Elm Playlot.